When planning for your new smile, we look at more than the condition of individual teeth. We also step back for the bigger “bite” picture: how do the teeth look and interact with each other? If we have a normal bite, our teeth are aligned symmetrically with each other. This not only looks aesthetically pleasing with the rest of the face, it also contributes to good function when we chew food. 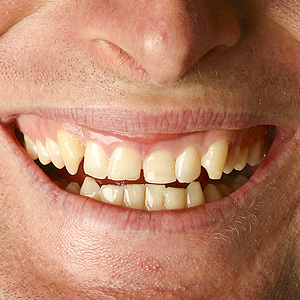 A bad bite (malocclusion) disrupts this mouth-to-face symmetry, impairs chewing and makes hygiene and disease prevention much more difficult. That's where orthodontics, the dental specialty for moving teeth, can work wonders. With today's advanced techniques, we can correct even the most complex malocclusions — and at any age. Even if your teen years are well behind you, repairing a bad bite can improve both your smile and your dental health. The most common approach, of course, is braces. They consist of metal or plastic brackets bonded to the outside face of the teeth with a thin metal wire laced through them. The wire attaches to an anchorage point, the back teeth or one created with other appliances, and placed under tension or pressure. The gradual increasing of tension or pressure on the teeth will move them over time. Â Braces are versatile and quite effective, but they can be restrictive and highly noticeable. Many people, especially older adults, feel embarrassed to wear them. There is an alternative: clear aligners. These are a series of clear, plastic trays that you wear in sequence, a couple of weeks for each tray. When you change to the next tray in the series, it will be slightly different than its predecessor. As the trays change shape guided by computer-enhanced modeling, the teeth gradually move. If you're interested in having a poor bite corrected, the first step is a comprehensive orthodontic examination. This looks closely at not only teeth position, but also jaw function and overall oral and general health. With that we can help you decide if orthodontics is right for you. If so, we'll formulate a treatment plan that can transform your smile and boost your dental health.